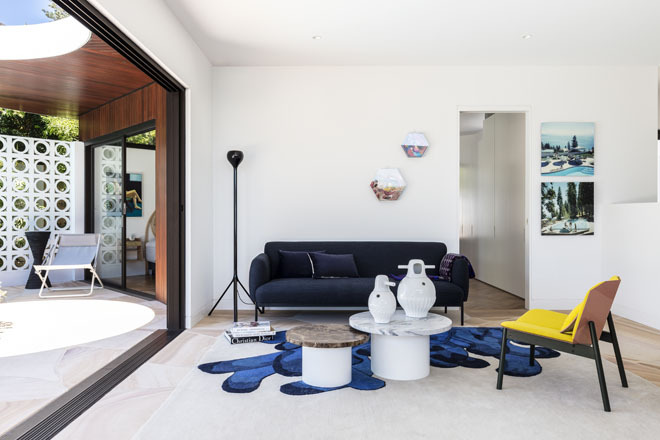 This Vaucluse home was built when sky-high quiffs and stovepipe jeans clogged Sydney streets. 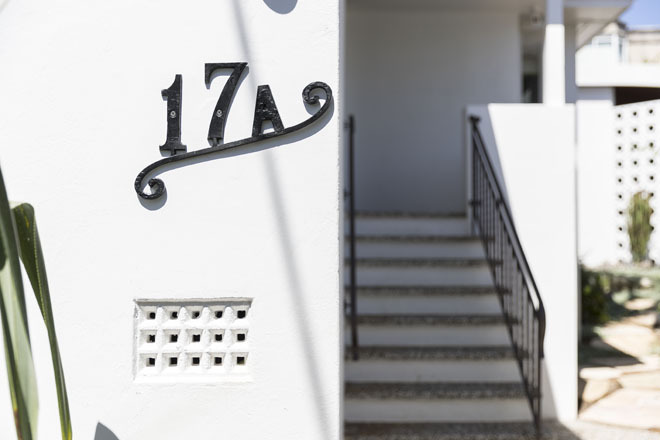 Built in the mid-1950s, the abode was last altered in the early 1960s. 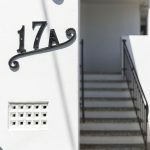 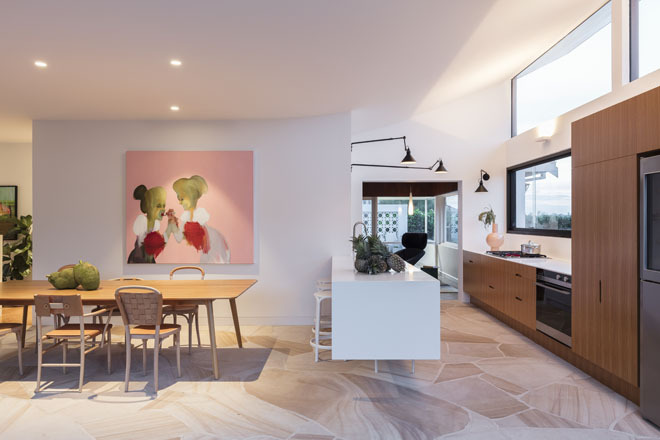 After 55-plus years without so much as a new lick of paint, Nick Bell Architects was enlisted to bring the house up to date. 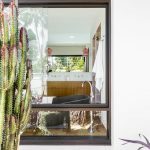 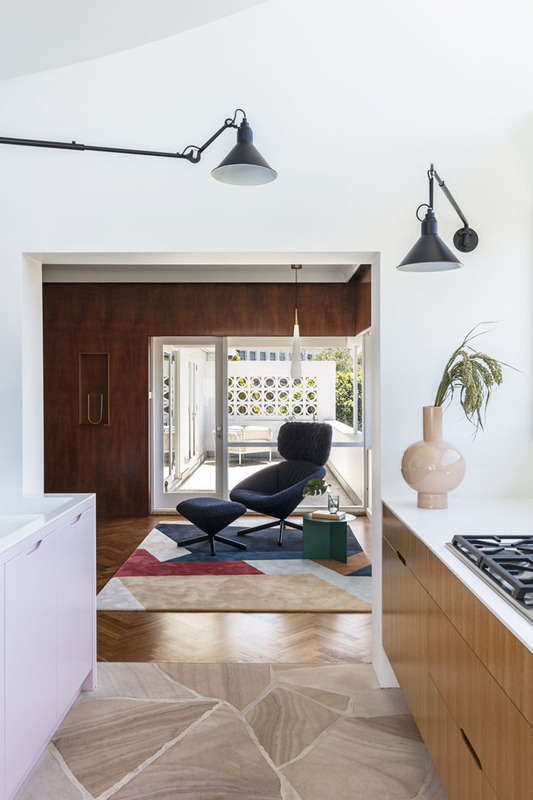 Indeed, the team were given the tricky task of preserving the best of the mid-century features while improving and opening up the awkward layout of the block. 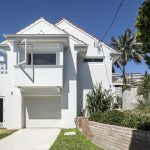 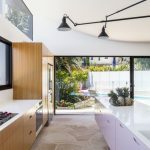 The existing layout saw service areas located at the rear of the property, which effectively – and annoyingly – disconnected living areas from the back garden and a large existing swimming pool. 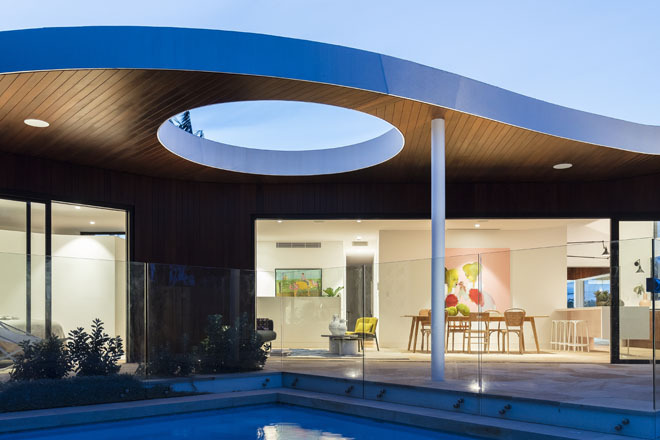 Purchased with the view to transform the property into a lifelong family home, the clients’ brief was comprehensive. 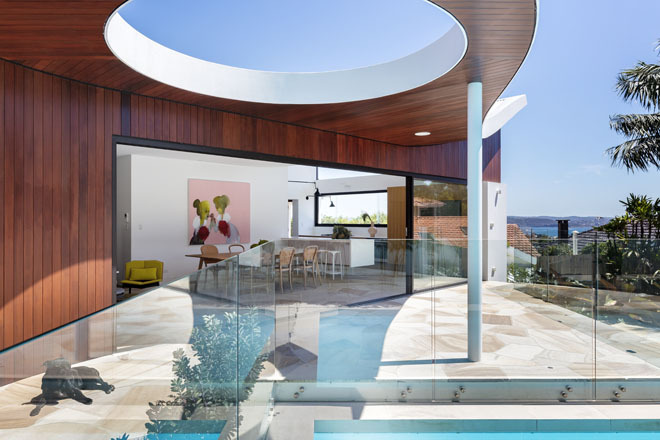 Firstly, they requested a new and spacious open-plan living area and the expansion of the existing garden. 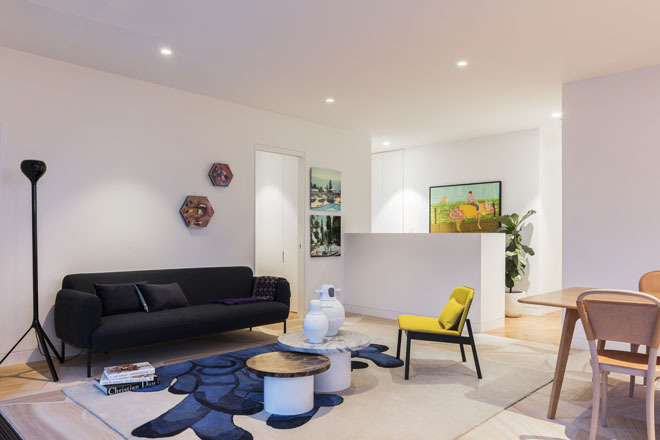 Secondly, Nick Bell and his team needed to develop a multipurpose basement suitable for use as a rumpus room, nanny’s quarters or guest suite. 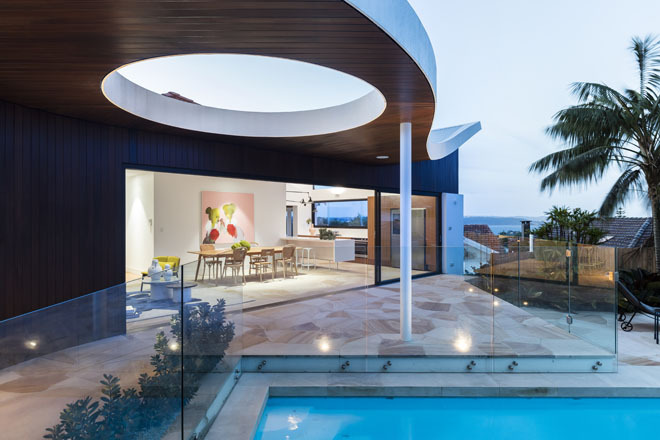 To achieve this, the original staircase (a dangerously steep set of steps with low head height and small treads) needed to be improved and the structural opening enlarged. 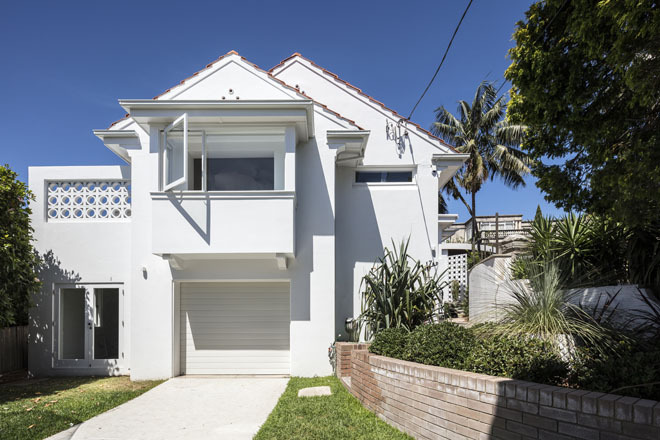 Additionally, a new laundry/bathroom and gym were added to the space, made possible with the introduction of new internal walls, new windows and doors. 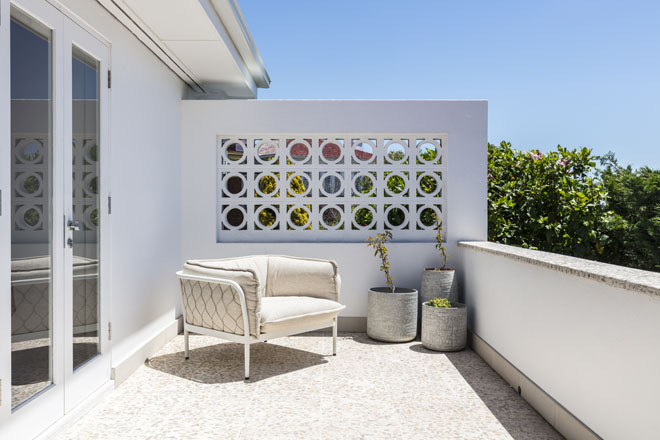 Next on the owners’ list of must-haves was an abundance of natural light, a touch of glamour and a whole lot of mid-century charm. 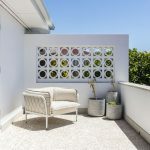 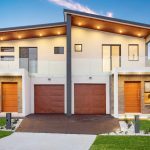 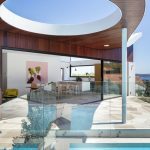 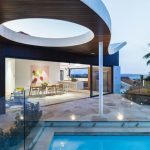 Finally, a resort-style ambiance with a garden oasis perfect for alfresco shindigs and casual gatherings was crucial to the success of the project. 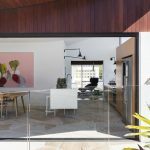 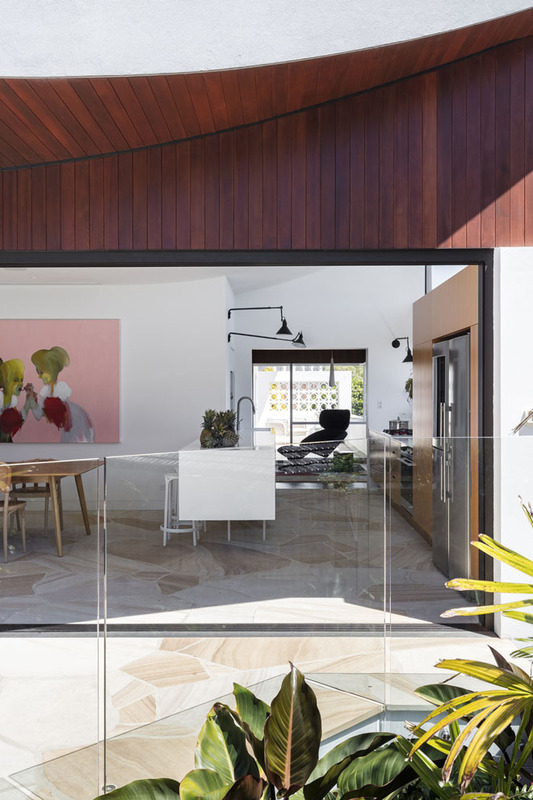 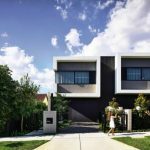 Turning the brief into reality, Nick Bell Architects delivered a new extension to the back of the existing house that features an open-plan kitchen/dining/living area and master bedroom with walk-in-robe and ensuite with access to a private landscaped courtyard. 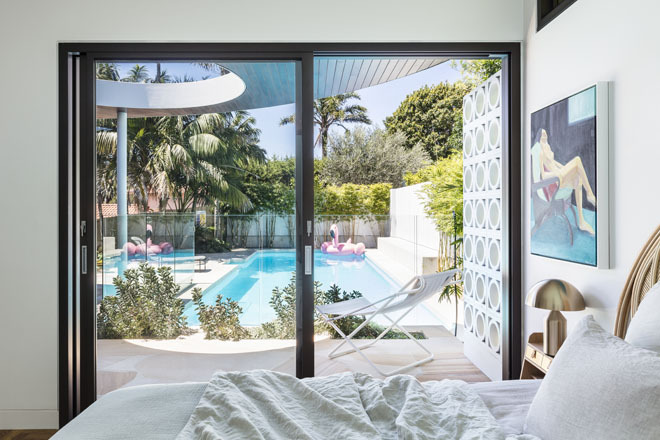 The other existing bedrooms and living areas were largely unaltered except for minor restoration. 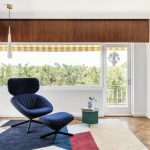 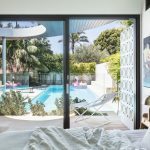 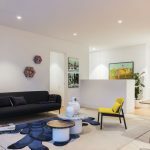 “Original mid-century modern features such as parquet flooring, pelmet lighting and timber wall panelling were restored,” says Nick. 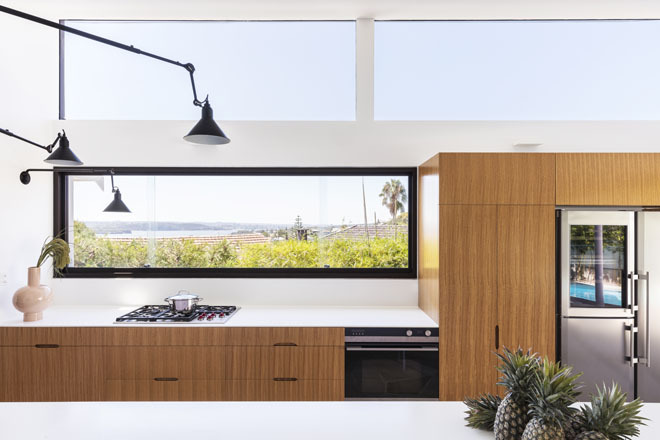 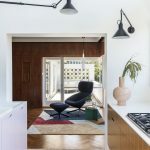 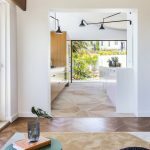 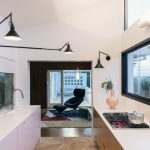 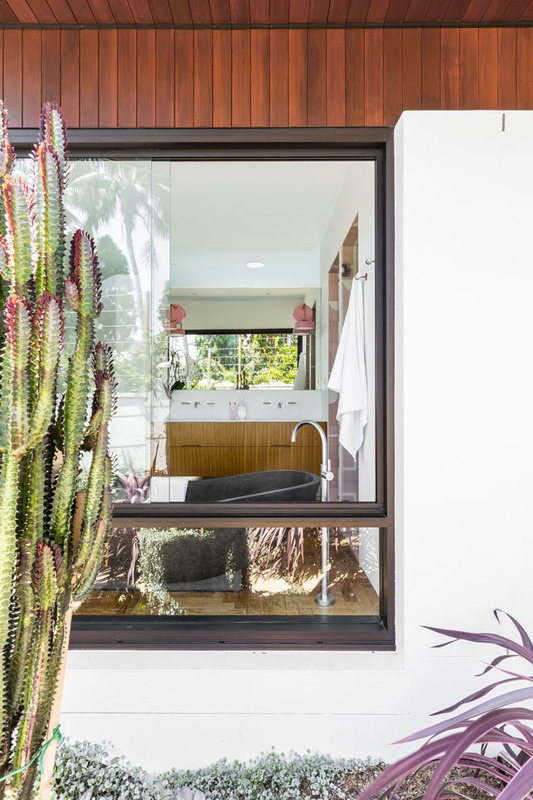 “The two bathrooms were reconfigured and completely refitted, and the hallway was opened up (by removing wall nibs and doorways).” Aiding the opening up of the entry hallway is a new skylight that infiltrates the space with natural light. 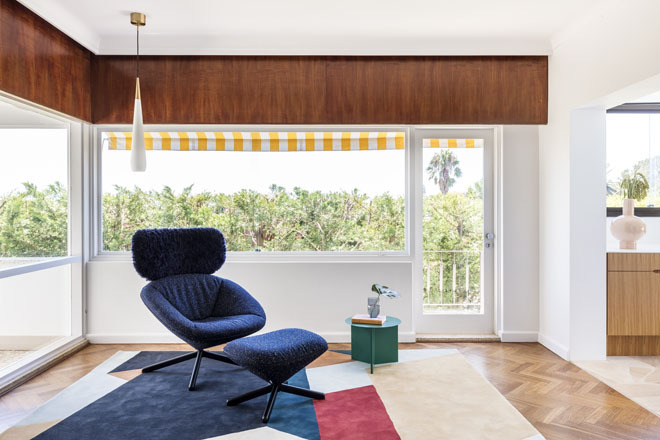 Existing mid-century details acted as a springboard for the design, which sought to reference the original period of the building while also creating a sense of playfulness and glamour with the injection of new ideas and materials. 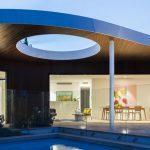 One of the key material choices was sandstone crazy paving as an external and internal floor covering. 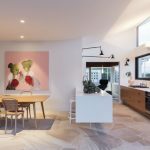 Brought into site as 2m x 1m panels, the large slabs were broken up by hand. 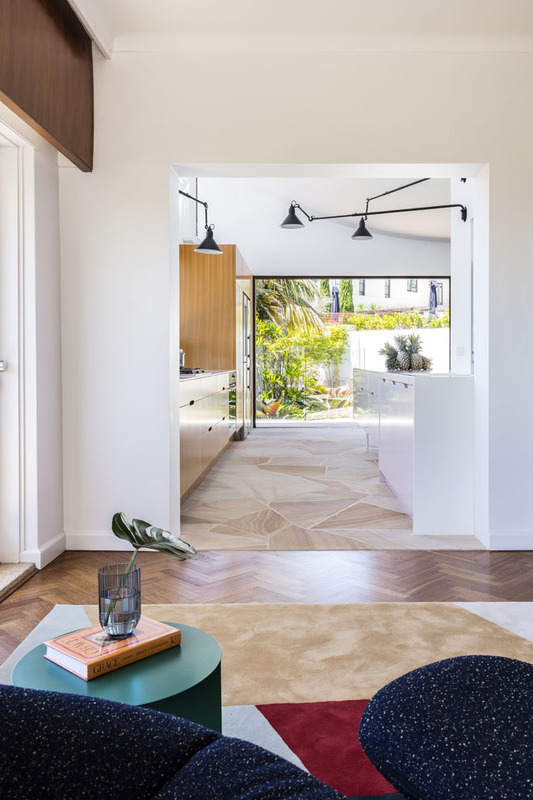 The resulting floors emphasise the unity of the spaces, enhance indoor/outdoor flow and reduce the severity of the triangular rear garden. 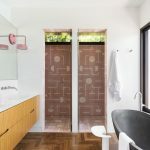 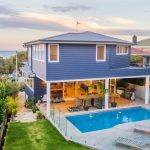 From floors to walls, walnut-stained timber cladding provides richness and warmth to the rear facade, while internal tallowwood timber joinery ties to the original built-in joinery and parquet flooring of the house. 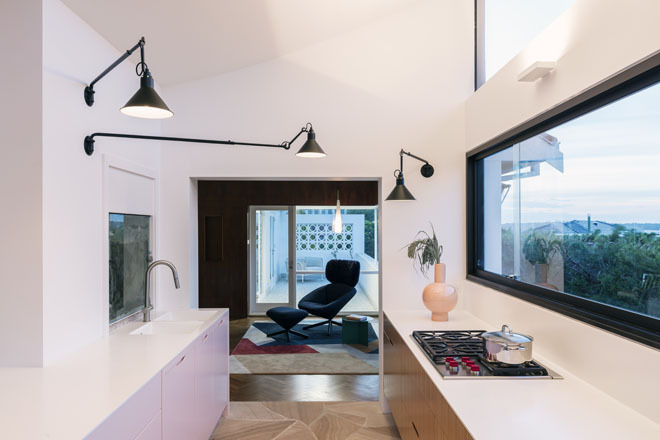 When it came to the kitchen, the colour palette was the niggling question. 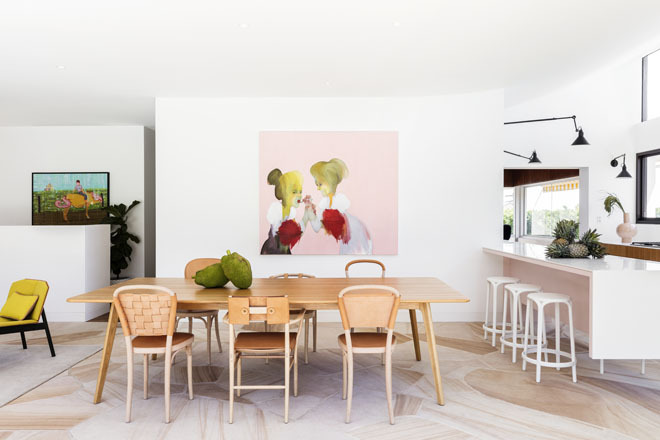 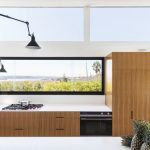 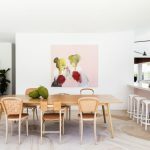 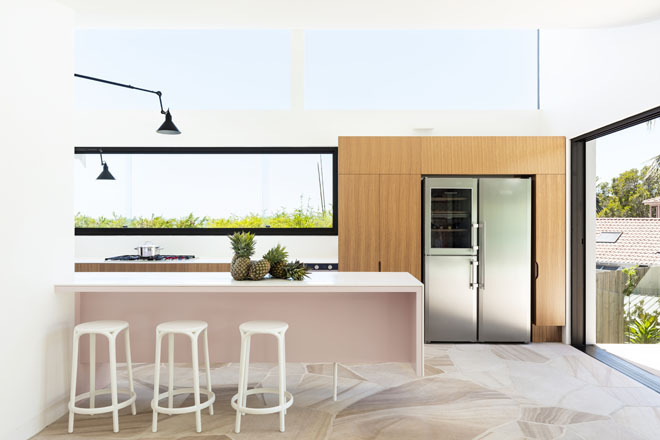 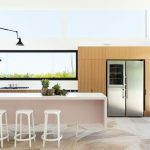 The ongoing debate about a blush-hued kitchen was introduced in the early design development but at various points throughout the project, the clients see-sawed between loving and loathing the idea. 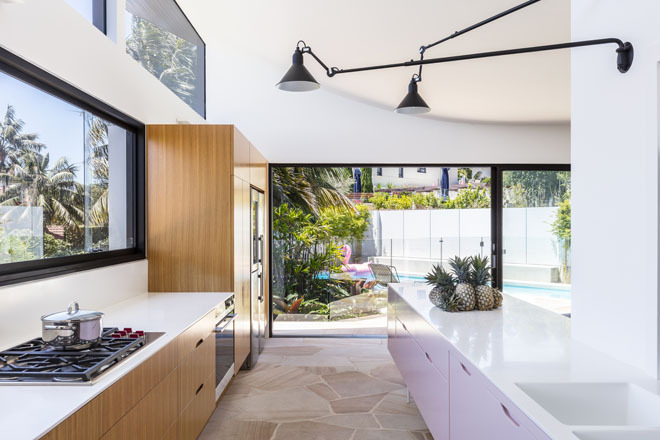 Eventually, the pink kitchen was given the green light when the team of architects explained their desire to combine the pink with tallowwood and white Corian, thus subduing the colour and creating a calming, modern and sophisticated palette.